This hike designed for those want to experience beautiful morning view of volcano landscape surrounding Lawu, catch sunrise moment over volcano,see typically old crater of Lawu and experience fresh air of mountain forest of volcano Lawu. You'r guided through Cemoro Sewu hiking route.This route is considered the best one due to well maintained by local officers, less slippery,but steeper. 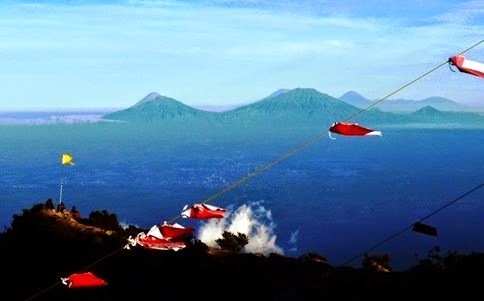 Some shelters are available en trekking route heads for highest summit of Lawu ( 3265 m ) locally called Hargo Dumila, ones of most historical summit of Java.Today Lawu is considered as active volcano B-type, still possessing crater - fumarola field and hotspring below summit zone. DAY 01 / YOGYAKARTA - CEMORO SEWU-CAMP SITE. Pick you up in the morning 07:00 am around city of Yogyakarta or Solo, trip briefing,check list and transfers by private car heads for Basecamp of Cemoro Sewu where we take some breaks for more time of adaption to this new altitude,and do final preparation. After safety briefing, then commence trekking through well maintained cobbled path of mountain forest of Lawu head for view campsite. On the way, we have at least twice breaks at trekking stopping points/shelters. 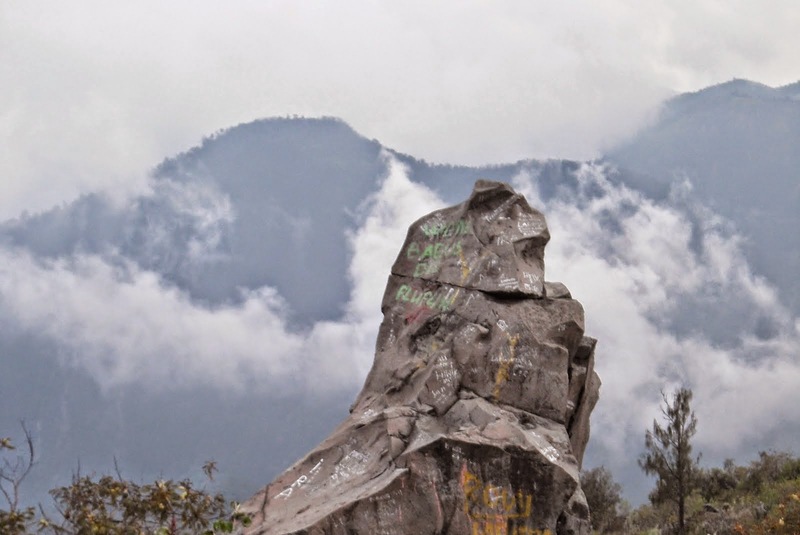 Today hike, expected to see high farmland of Lawu, mountain valley, unique rock formation on the way, stunning view of mountainous ridge surrounding and experiences the tranquillity of the mountain. Arrive at camp site approx 05:00 pm. Lunch en route, and dinner served at camp site. Briefing for next trekking at camp site. Actual hiking elevation gain approx 1.180 m.
In the early morning,wake up and enjoy warm drink plus light meal. Then summit attempt, sunrise stopover,then proceed trekking heads for peak Hargo Dumilah to make the summit in most possible better weather on highest point of volcano Lawu. Today, expected to catch sunrise momentum, to take in view of morning fantastic view of surrounding volcano's cone such Merapi-Merbabu on western side and other volcanoes of East Java on Eastern side. After summiting, you then guided down back to camp site, then proceed to trekking basecamp to transfer you return to Yogyakarta or Solo for your next destination. Arrive at Yogyakarta approx 04:00 pm (sooner for Solo area). Breakfast at camp site, and lunch at trekking basecamp. Today hiking elevation gain / lose approx 180 m / 1360 m.
Please contact via contact form, email us your small group size and requested departure date. *Meals as indicated B,L,D in program.